If you are planning to travel around New Zealand, you will find that this itinerary offers a complete New Zealand experience, based entirely on your own terms. Extend your vacation at any point along the way by adding extra nights in your favorite locations. Welcome to Auckland, known as the ‘City of Sails’. We recommend a visit to the fascinating Kelly Tarlton’s Antarctic Encounter and Underwater World, where you can get up close to penguins, sharks, stingrays and much more. (149 miles/240 kms) (optional meal plans begin today) Cross the Auckland Harbor Bridge and travel north to the beautiful Bay of Islands. Arrive in Paihia and enjoy a guided visit to the historic Waitangi Treaty Grounds. Rest of day at leisure. (149 miles/240 kms) Cruise to Cape Brett and the ‘Hole in the Rock’. 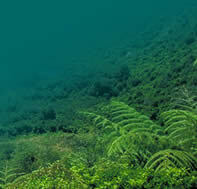 Stop at Otehei Bay for an opportunity to walk, swim or just relax. Return to Auckland late this afternoon. 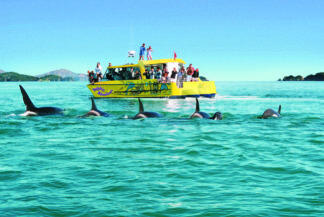 Visit Rotorua's leading attractions on a full day Great Sights sightseeing tour. Highlights include Te Puia Thermal Reserve, Rainbow Springs Nature Park, the Buried Village, Rotorua Museum and free leisure time to shop and have lunch. 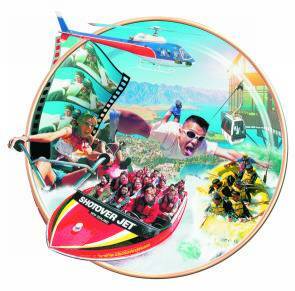 (flight not included) Today you will transfer from your hotel to Rotorua Airport for your fl ight to Queenstown, the alpine capital of New Zealand and the adventure capital of the world. Upon arrival you will transferred to your hotel..
Rest of day at leisure. We suggest a ride on the Skyline Gondola to the top of Bobs Peak for fantastic views of Queenstown and Lake Wakatipu. Travel by coach along the shores of Lake Wakatipu to Te Anau, gateway to the Fiordland National Park. From the Homer Tunnel emerge into the Cleddau Valley. 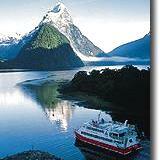 Join the Milford Sound Red Boat Cruise to explore this majestic fi ord. Return to Queenstown. (369 miles/594 kms) Travel through the Kawarau Gorge and the Lindis Pass to the Aoraki-Mount Cook National Park and Mount Cook Village. We suggest a scenic fl ight over some of fi nest alpine scenery in New Zealand. Continue on to Christchurch, arriving early evening.